Soweto Central Chorus Of The Salvation Army will be presenting the fourth instalment of the Easter Songs of Praise Musical Experience at the Linder Auditorium, Wits University Education campus on Friday, 12 April at 18h30. This year’s show will be headlined by some of Mzansi’s favourite musos — 2015 Idols finalist Mmatema, award-winning gospel sensation Dumi Mkokstad, Afro-pop genius Samthing Soweto and former Joyous Celebration lead singer Xolani Mdlalose. 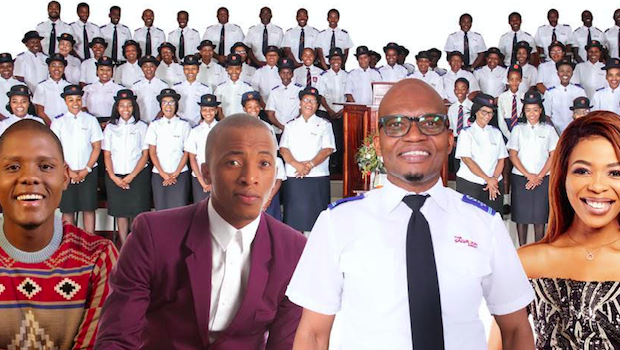 In light of the upcoming Easter season, the Soweto Central Chorus of the Salvation Army will once again bring you a musically world class show at this year’s 4th annual Easter Songs of Praise taking place at the Linder Auditorium on. Founded in 2012, the Soweto Central Chorus is a unique brigade and musical division of the Salvation Army’s Soweto Central Corps. The anointed choir boasts over 80 members who have broken generational boundaries. Since it was founded seven years ago, the Soweto Central Chorus managed to catch the attention of some of South Africa’s upper echelons. In 2016, the choir was invited to perform for Zulu King, King Goodwill at his palace home. Tickets are available from Computicket at a cost of R150 – R200 per person.